Before watching this 2-minute film, I had no clue about the existence of BRAC, or knew that it was the world’s largest NGO (by the number of employees). I saw the film a few days ago and thought it was well conceived. In the background of this gruesome news, I recalled that BRAC video immediately, and then the message hit me really hard. Given this news’ context, regardless of where the film is from (it’s from Bangladesh), the message seemed so stark and topical now. Kudos to the folks at Medium Rare, the Bangladesh-based agency who conceived this film, with a simple message told so convincingly! The narrative uses a familiar trope of a father meeting his daughter just before the wedding. The scene usually ends with the father offering a costly gift to the daughter (usually jewellery) and they get emotional. Here, the agency tweaks the gift oh-so-subtly, to signify something even more valuable and meaningful. Great thought! The winner of the 2019 Super Bowl (blah) advertising spectacle: corn syrup! 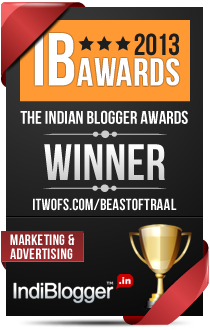 Paisabazaar gets (branded) content right with its Wedding Speech film!